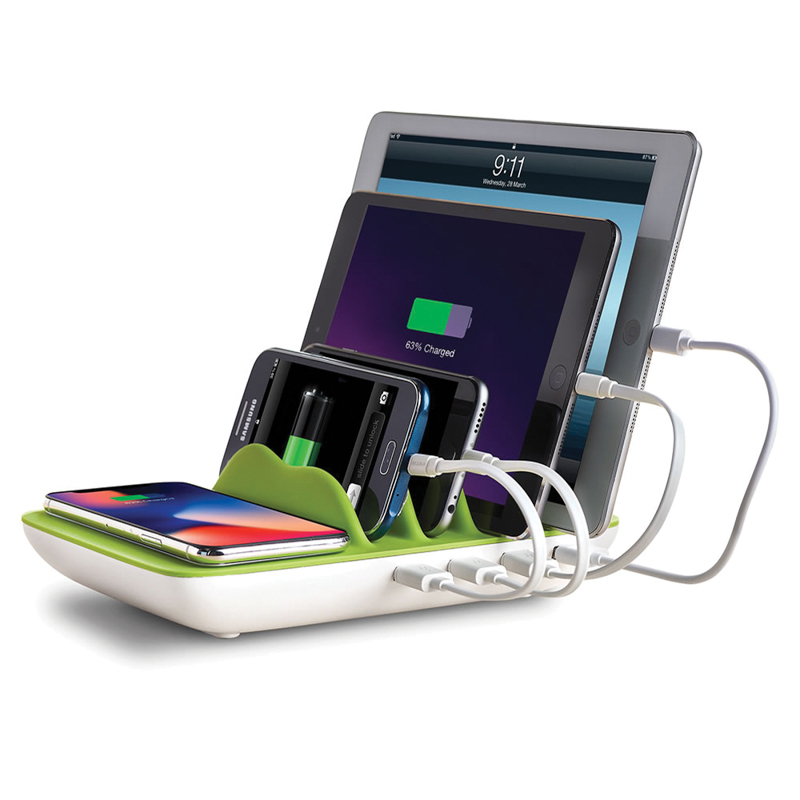 The five device charging station simultaneously supplies power to four USB devices and one Qi wireless enabled device. It plugs into a standard wall outlet and optimizes recharging speeds using smart-charging technology. 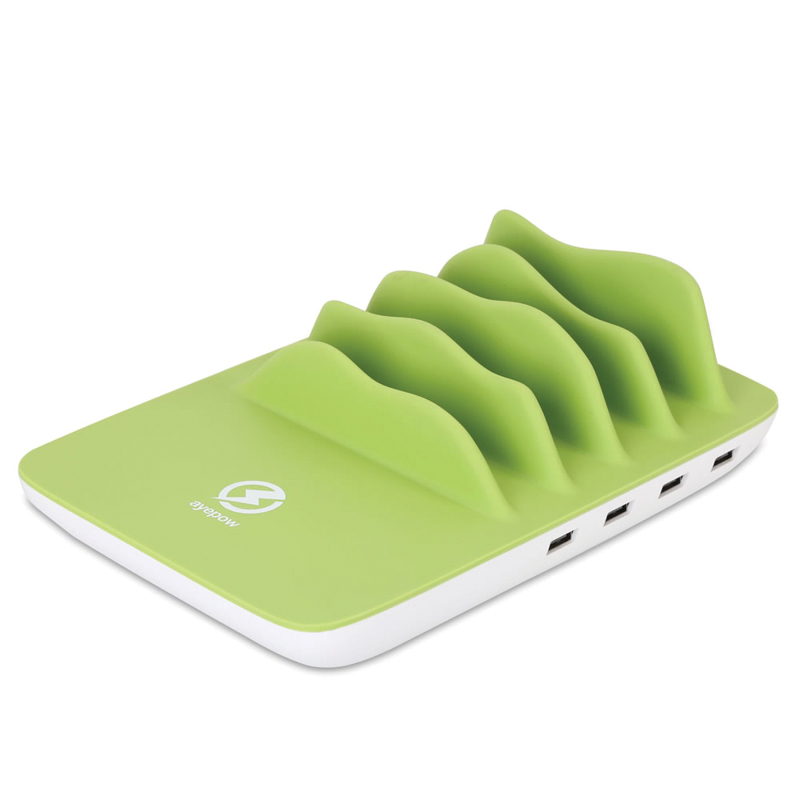 Compatible with any USB-charged device including the iPhone 8 and iPhone X. Silicone dividers help protect screens and minimise cord tangles.